I am a member of the splendid Oak Ridges Trail Association and I enjoy getting out and about into the countryside when I can. Though the idea of bumping into a bear still freaks me out. These days it doesn’t seem remotely controversial to say that people should have the right to roam over open uncultivated country. But that wasn’t always the case – at least not in England and Wales. Only 20 years ago huge tracts of mountain and moorland were out of bounds to walkers. Over 4 million acres in a small densely populated island were effectively no-go areas. Way back then many of us were involved with the Ramblers in trying to get the law on access changed and, after a huge struggle, we were successful. I was regularly accused of "class hatred and class warfare" which is absurd. I like Downton Abbey as much as the next person. And people who know me will testify that I always defer to my elders and betters. 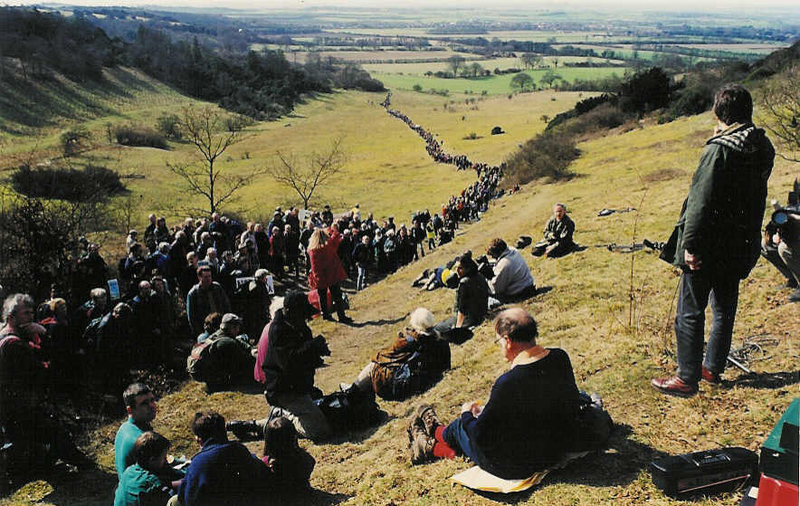 Speaking of which… The photo above left was taken at a rally on Shirburn Hill in Oxfordshire on 14 March 1999. And that’s me standing on the right holding a microphone addressing a cast of thousands. Viscount Parker, the heir to the eighth Earl of Macclesfield, had banned access to the rolling downland but there was a public right of way across his land. People squeezed on to that narrow ribbon of a footpath, stretching away into the distance as far as the eye could see. They were making a point. Very effectively. It was the weirdest experience imaginable as I heard my words echoing around the hills even as I spoke. And there were no bears for me to worry about. The photo was taken by my old friend Andrew Bennett who was president of the Ramblers’ Association at the time. It was later turned into a postcard. The terrific Kate Ashbrook who was the campaign’s driving force is again chair of the Ramblers - for the third time. I am writing this at 8.30pm on Thursday 21 March 2019. The European Council (the leaders of all the member states of the EU) has just published its final, considered view on Brexit. If the UK Parliament does not approve Theresa May's negotiated deal (which it has rejected twice) the UK will be out of the European Union on 12 April. Things are moving so quickly this could be old news by tomorrow morning. To be clear, I want Britain to stay in the European Union. But it could crash out without a deal. I always believed we could cut the Gordian Knot by holding a second referendum on May's negotiated deal. Are voters in favour of leaving the EU on her terms or not? But the EU imposed timetable seems to preclude even this possibility. As it happens, I was at the Newmarket Historical Society’s excellent meeting last night on the Dambusters and got talking to an old Canadian friend about Brexit. He has lived and worked in the UK and wants Britain out – even without a deal. Here is a clip to help Americans understand Brexit. (But Canadians can take a peek!) It was broadcast on 6 March 2019 and is now ancient history. But it is still worth watching. The Bank of England under its Canadian Governor, Mark Carney, forecast last November that leaving the EU without a deal would shrink the UK economy by about 8% in the first year. This would have huge implications for jobs and prosperity. As big a dislocation as the global financial crisis of 2008. 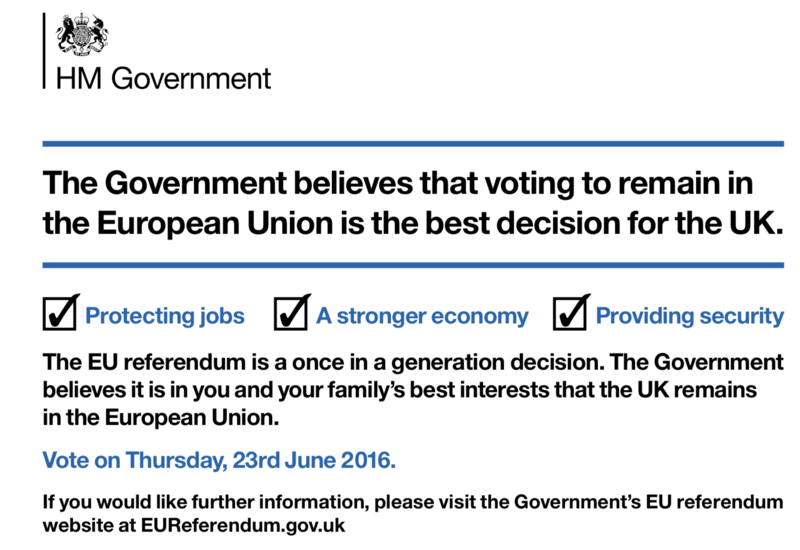 In the Brexit Referendum on 23 June 2016 the British (Conservative) Government advised voters to vote to remain in the EU. The case is set out here. In the event, the voters decided to leave by a 52%-48% margin. But there was a mountain of misinformation or “fake news” that persuaded lots of people there was no downside to leaving the EU. All gain no pain. As Prime Minister, Theresa May nevertheless vowed to implement the results of that 2016 referendum – in which she supported the remain (losing) side. The UK has always been a net contributor to the European Union. That is, it pays in more than it gets out. Over the years 2010-2014 the average net contribution was £7.1 billion or a little over Can$12 billion. For every £1 paid in tax in the UK a little over 1p goes to the EU. This fed the notion that Britain leaving the EU would have barrowloads of cash to spend, for example, on the National Health Service. Allegedly an extra £350m every week. The math was always too neat and tidy to be true. In the main older people were more likely to vote leave than younger people. And poorer parts of the country were more likely to vote leave than wealthier areas. People in Scotland voted to stay in the EU by a wide margin. So, why was there a majority voting to leave? As always, immigration loomed large. The UK has changed massively in its demography in my lifetime. Although there are still many places where white people make up more than 95% of the population the number of such places will inevitably diminish over time. The UK is becoming ever more diverse. That said, many voters believed that leaving the EU would mean “fewer foreigners”. But the UK can’t do without them. There is free movement of labour within the EU. Leaving the European Union would mean the numbers of Polish plumbers and Romanian fruit pickers and French hospitality people would in future be controlled. But their equivalents would have to be brought in from somewhere else. The restaurant industry in London would collapse tomorrow without foreign labour. And if UK citizens of, for example, Indian and Pakistani heritage want to marry and bring over to the UK spouses from the sub-continent there is nothing practically that can be done to stop that. There are English language tests and marriage age thresholds and “money in the bank” requirements but this is as far as you can go without having race as a litmus test and that would be completely unacceptable. 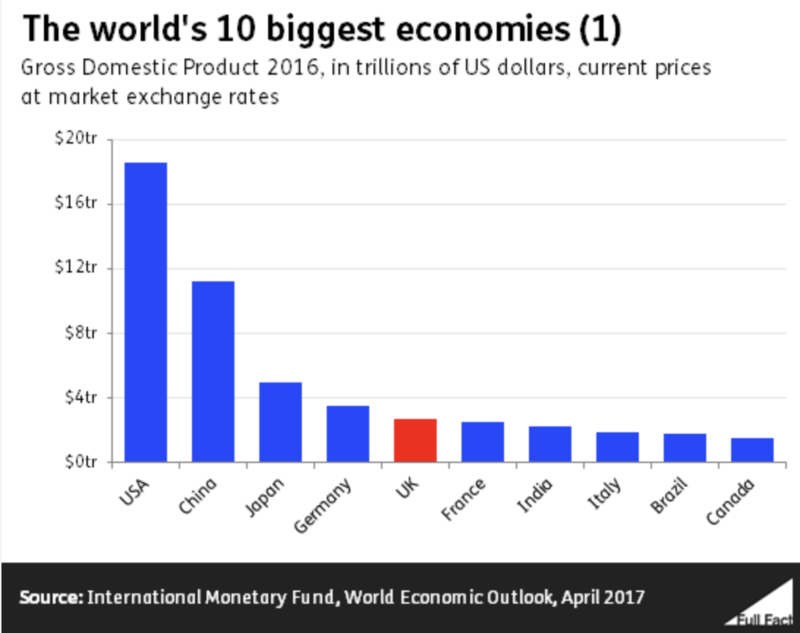 The UK is a big economy – the fifth largest in the world according to the IMF – but it is highly integrated with the EU where most of its exports go. The traffic is two-way. In 2016 European Union countries exported goods to the UK amounting to €314 billion. That is more than the total EU exports to Brazil, Russia, India and China combined. But after Brexit who knows what tariff barriers will be erected? Who knows what kind of deals the UK can cut with the rest of the world? If the UK leaves the European Union we shall find out soon enough. 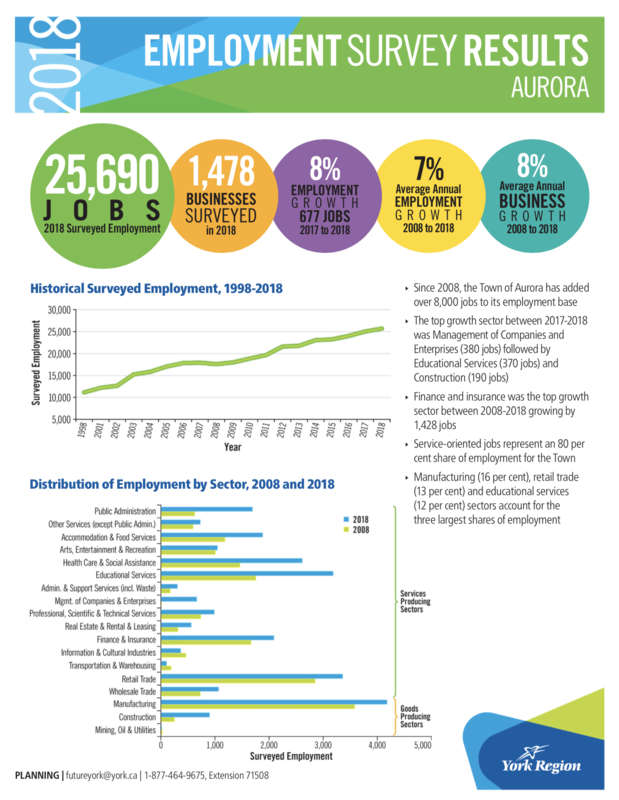 Job creation in Aurora has again outstripped Newmarket according to figures from the latest employment survey from York Region. Aurora saw an 8% growth in jobs from 2017-18 with Newmarket posting a 3% increase. From 2008-2018 Aurora saw an average annual employment growth of 7%. Newmarket lagged with a 0.7% increase over the same period. 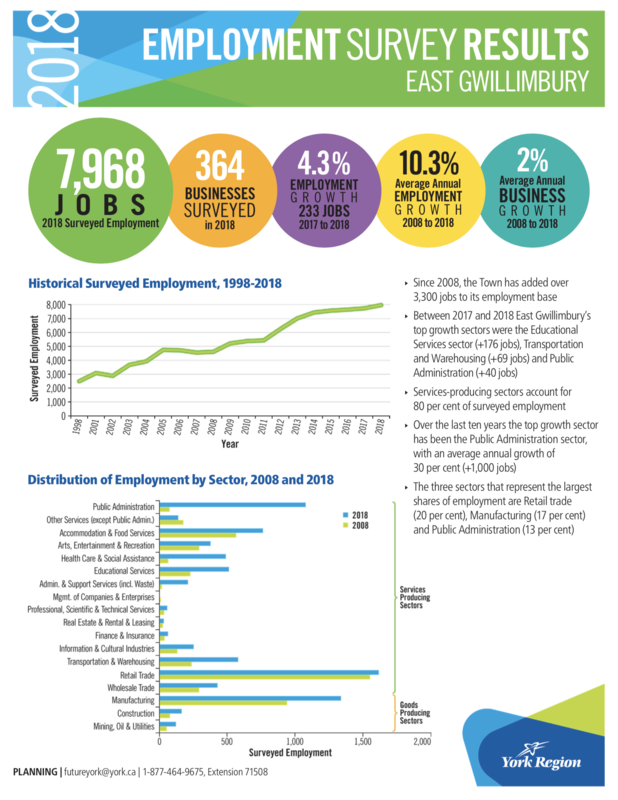 Since 1998 the number of jobs in Newmarket has grown by over 11,100. But Aurora has seen 8,000 new jobs since 2008. All this can be difficult to explain to the general public. So the politicians have decided to sweep it under the carpet rather than do the difficult job of explaining the differences. 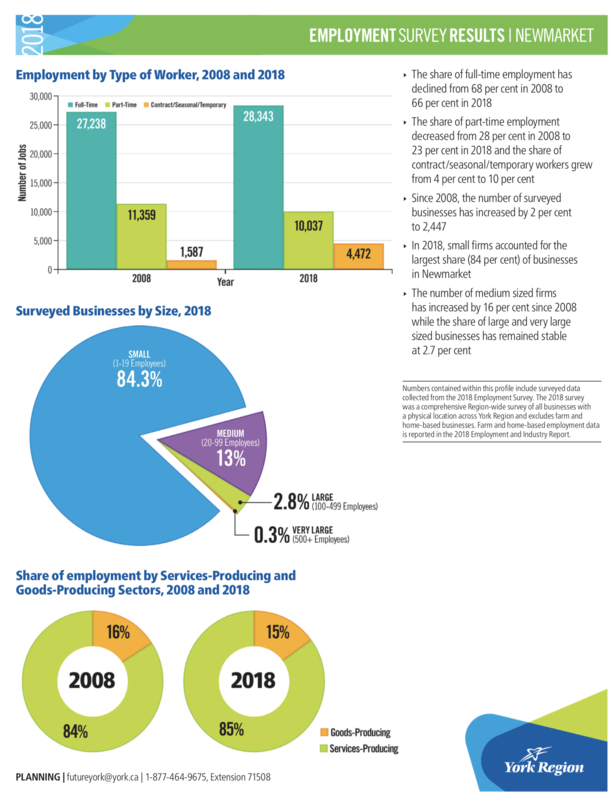 In 2015 there was a tremendous kerfuffle when we were told that Newmarket generated 100 new jobs between 2009 and 2014 when Aurora got over 5,000. The figures were subsequently revised upwards but only marginally. The annual survey of employment in each of the Region’s nine constituent municipalities is concealed from the general public to avoid embarrassing municipalities whose jobs record is less than perfect. 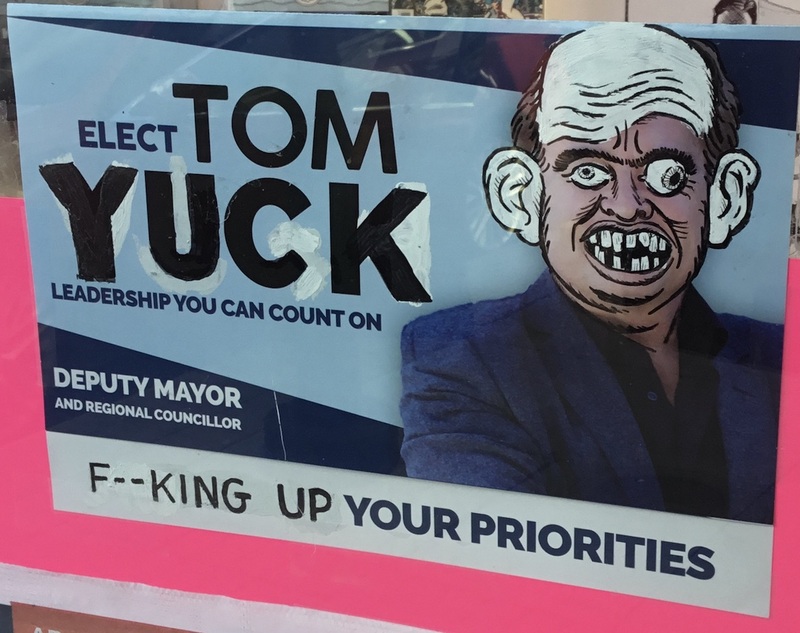 In 2016 York Regional Council ruled that the employment figures from each of the nine municipalities should in future be removed from the annual presentation of the Region’s Employment Survey to the Regional Council. 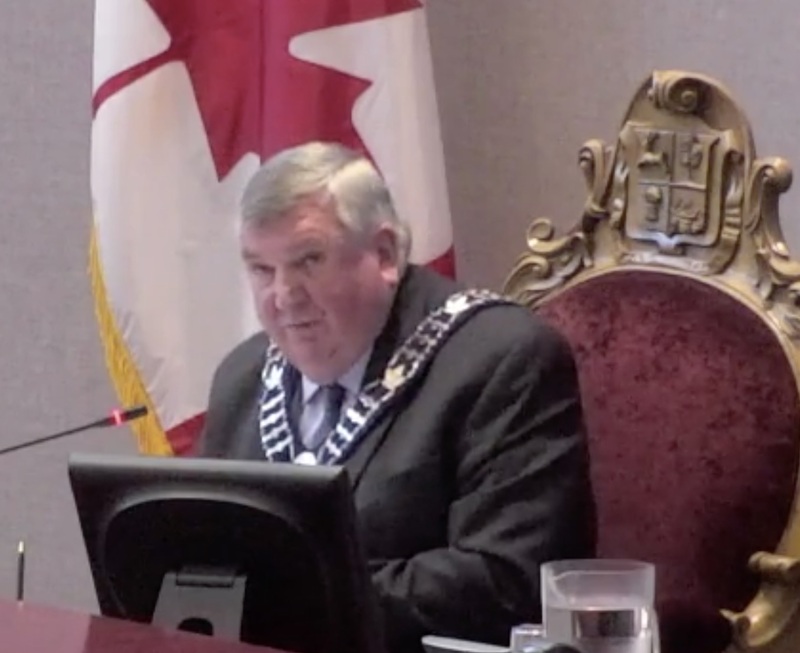 York Region's number-cruncher in chief, the excellent Paul Bottomley, was ordered to confine his comments to what was happening Region wide with absolutely no comparisons between municipalities. Instead, the nine factsheets are given to members of the Regional Council “under the table” with no opportunity for comment in the Council Chamber by individual elected members. The wider public is kept in the dark. It is a very silly way of doing things. Any comparisons between municipalities should of course carry a health warning. Growth rates in some developing municipalities can easily power ahead of older, bigger and more mature local economies. In the same way, newly developing countries regularly post growth rates that leave developed economies looking dead in the water. But that doesn’t mean they are wealthier. So it is important to compare apples with apples. East Gwillimbury, starting with a much smaller economic base than Newmarket, saw a 4.3% growth in jobs in 2017-18. But this amounted to 233 new jobs. 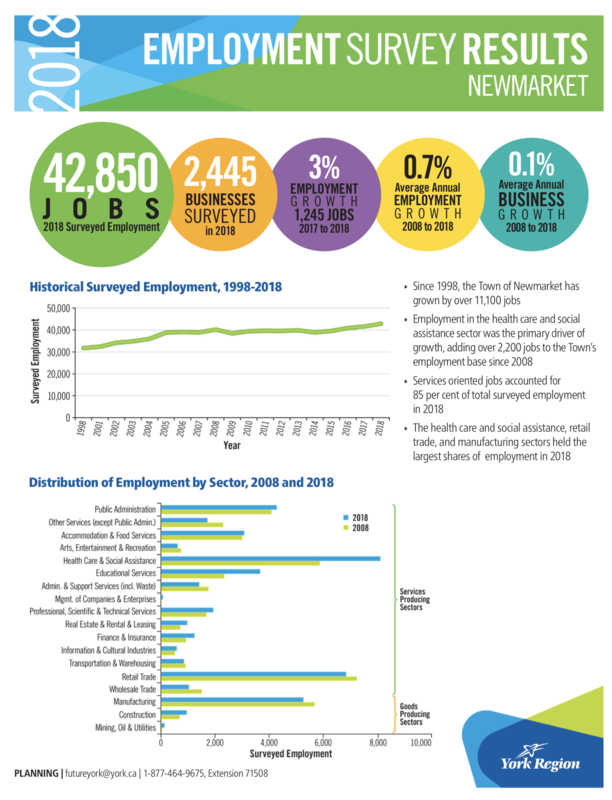 Newmarket's employment growth lagged as a percentage (3%) but generated 1,245 new jobs. The data contains some fascinating stats. I learn the real estate sector was the fastest growing sector with an average annual increase of 7.4%, increasing by 10,850 jobs. The educational sector doubled the number of jobs, adding over 19,700 jobs at an average annual increase of 7.3%. Finance and insurance and healthcare and social services added 11,000 and 17,000 new jobs respectively.